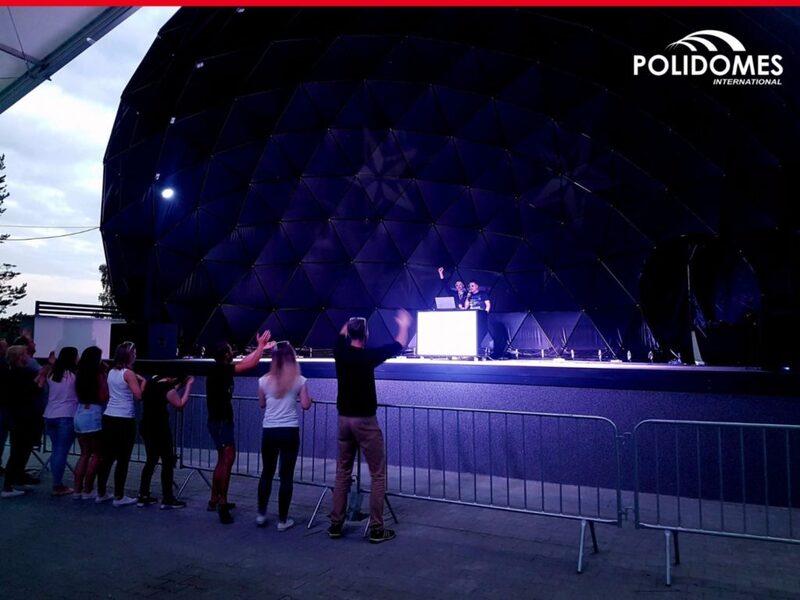 Polidomes open dome tent is the roofed outdoor stage, constructed on a base of a regular geodesic tent. Its stylish, half-sphere shape creates the effect of the sound wandering in space, at the same time enhances the sound and on-site effects. Due to that half sphere amphitheaters are the ideal venue for all kinds of outdoor music event and theatrical performance. Moreover, this free-standing amphitheater allows to hold an outdoor concert anywhere at anytime. Structural steel elements are made according to DIN 1615, 1984, secured by anti-corrosion coating, galvanized on both sides (also from the inside), making the structure extremely strong even without centre poles. It can also support sound and lighting equipment up to 50kg each knot. Water Proof: Its PVC fabric cover keeps you safe and dry even it’s raining heavily outside. UV Proof: It can weaken the sun rays and reduce the temperature. Flame Retardant: Significantly delay on flame propagation. Wind Resistant: It is testified to stand the wind at a speed of 100-150km/h. A spherical amphitheater presents indisputable entertainment for all audiovisual feeling lovers. 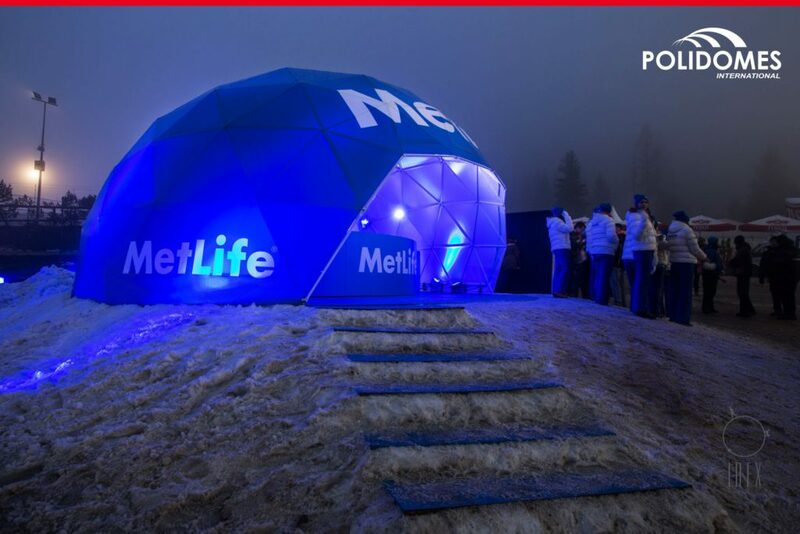 Its shape and futuristic design is attractive in itself – the view that will diversify every outdoor event, regardless of its scale and scope. 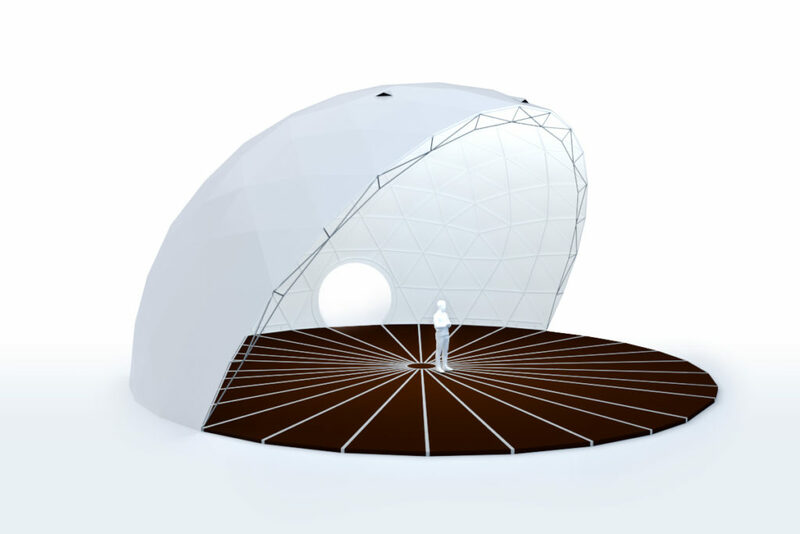 The natural sound enhance (due to the rounded vault) makes open dome amphitheatre an ideal decision for the organizers of corporate events, festivals, outdoor parties, municipal events or any other scale outdoor stage events. Due to its portable design, amphitheater can be set up by several people within a short time. With convenient installing and disassembly, you can set up the open dome tent anywhere at any time, as you want. 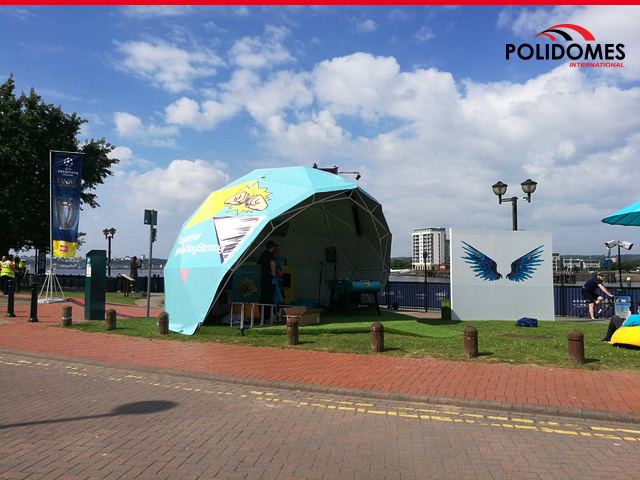 Polidomes can provide an open dome tent any size that you desire starting from 30m. All steel parts can be painted (standard color is white). It is also possible to select a different color from the RAL color palette. The cover is a fantastic advertising platform. We can apply logos or branding to the cover (skin) and print artwork or patterns directly on the fabric. We will design your dome amphitheatre and provide a 3D visualization, so you can be sure that we will create the perfect structure for your needs.